A little Swedish cookie. 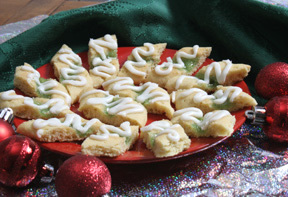 Filled with red and green jelly they are perfect little treats for the holidays. Cream sugar and butter together until smooth. Mix in eggs, almond extract and vanilla. Stir dry ingredients together and mix into batter. Chill for several hours or overnight. Divide dough into 18 piece. Shape the dough into a long, rounded log approximately 6 inches long and 1 inch wide. Make an indentation, lengthwise, in the center of each log with a clean, unsharpened pencil or the tip of your finger; make sure the indention only goes to within 1/8" from each end of the log. 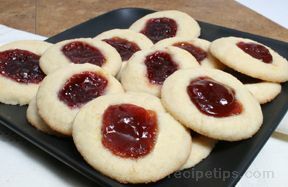 Fill the indention with jam or preserves. Bake on a lightly greased baking sheets at 350Â° until lightly brown, approximately 8 minutes. Remove from the oven and while still warm, cut the cookies diagonally into 1 inch or 2 inch slices but leave on the cookie sheet. Cool Completely before removing sticks from cookie sheet. Mix the powdered sugar, almond extract, butter and 1/2 tsp. of milk together. Add additional milk 1/2 tsp. at a time until frosting is the right consistency for drizzling. 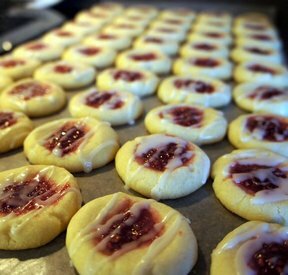 Drizzle across cooled cookies in a zigzag pattern. 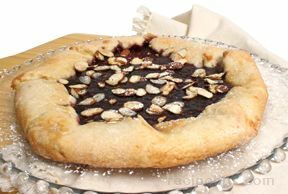 "I was looking for something new to bake for Christmas and this recipe caught my eye because my husband’s family is Swedish. So I tried making them. They were kind of puttsy to make but they turned out pretty good. I used mint and strawberry jelly. The mint was better than I expected. The almond-flavored frosting was the perfect finish touch."